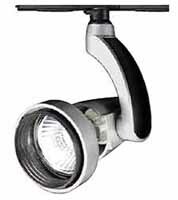 Low voltage architectual spotlights for use with Sirius 1 low voltage track only. Electrical protection class III. . Available in 3 different finishes. 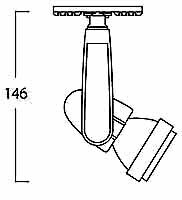 Low voltage architectual spotlights for use with Sirius 1 low voltage track only. Available in 3different finishes. 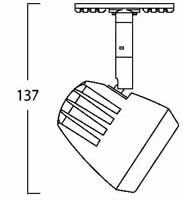 Low voltage architectual spotlights as above for use with Sirius 1 low voltage track only. Available in 3 different finishes and 5 drop lengths. Low voltage architectual spotlights for use with Sirius 1 low voltage track only. Available in 3 different finishes. The Microna 4 has a retro styled die-cast aluminium head. 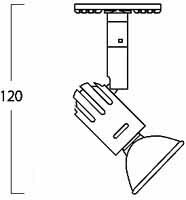 This fully encloses the lamp for where extraeous light is undesirable.Ideal for general display lighting in shops, exhibitions, galleries etc.